Happy Thursday everyone. I'm up on the MarkerPop Blog today with a CAS card featuring the Concord & 9th Map Love set. 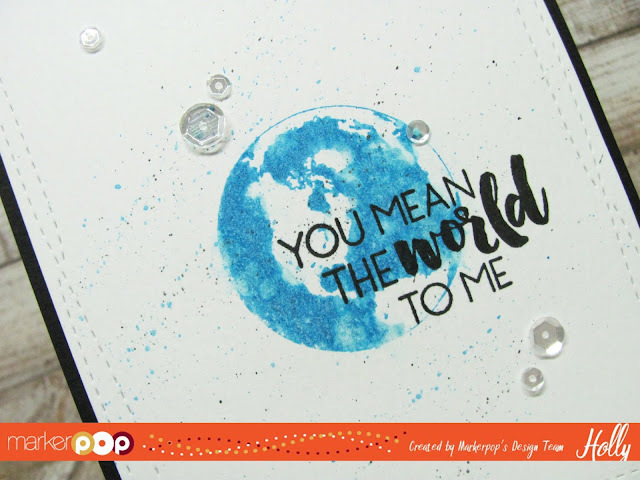 I started by stamping the Earth stamp onto a piece of Tim Holtz Distress Watercolor card stock using Mermaid Lagoon Distress Ink. 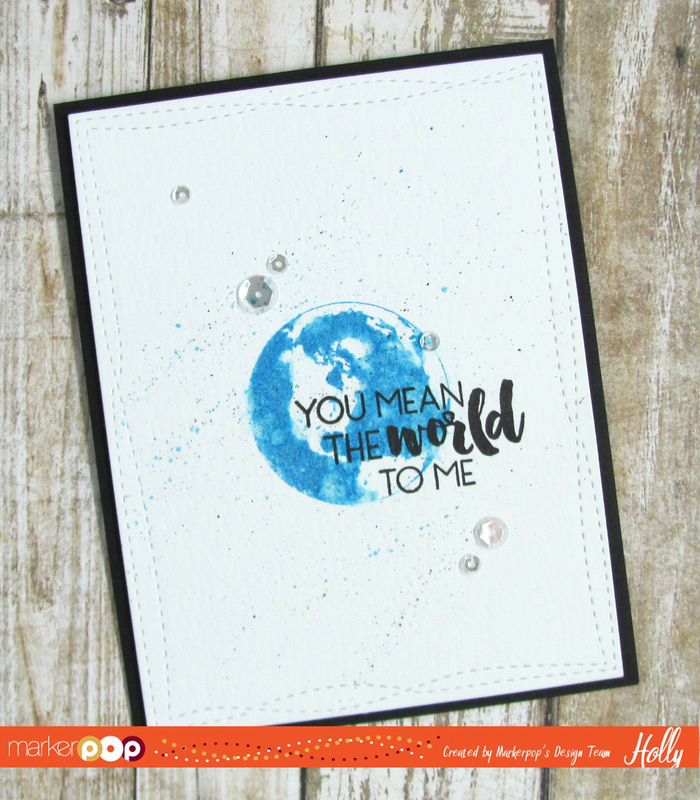 Once I inked the stamped before stamping it onto the card stock I spritzed it with a little water so the image would be a little blurred around the edges. I spritzed the image again once it was on the card stock and dabbed the droplets off with a paper towel. I ran the panel through my Big Shot with the Wonky Stitched Rectangle Die set from My Favorite Things. I added a few splatters of Mermaid Lagoon and Black Soot Distress ink around the background and then I adhered the image panel to a Black Licorice card base with some foam adhesive. For a touch of sparkle I added some Sparkling Clear mixed sequins from Pretty Pink Posh.